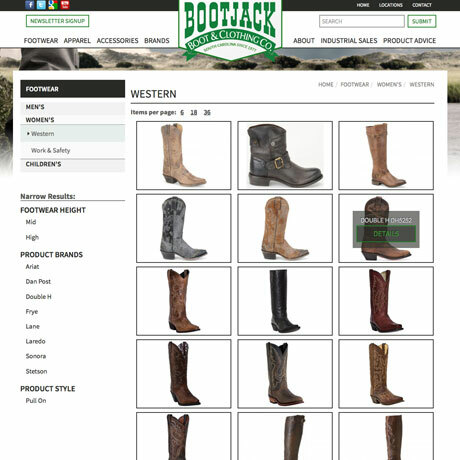 The Bootjack takes pride in being locally owned and operated since 1978. 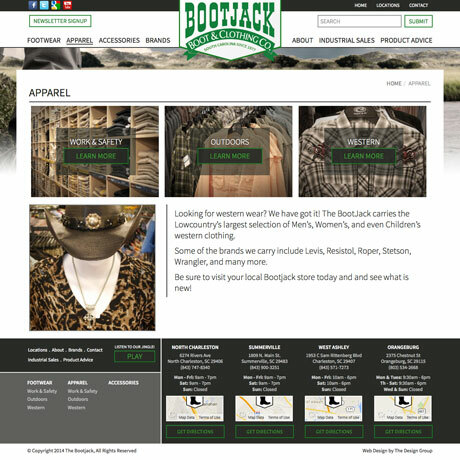 With four Charleston region locations, including its latest opening in Summerville, The Bootjack has become somewhat of a Lowcountry fixture, from its wide assortment of cowboy boots and knickers to the ever present Bootjack jingle, commonly heard on the local airwaves. 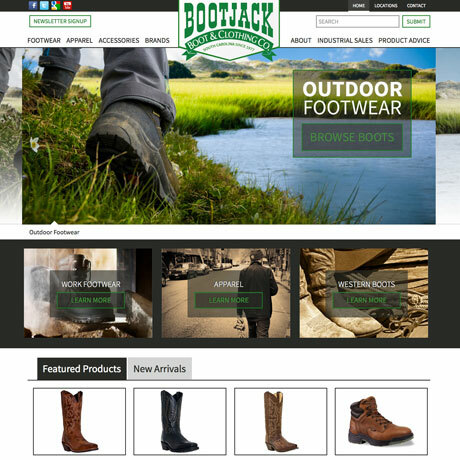 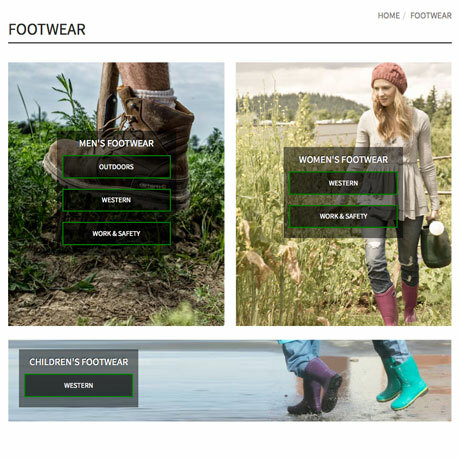 As such, it was important to the TDG team to preserve this clout and make sure the Bootjack website featured a modern twist on the stores' tried and true traditions of the past.